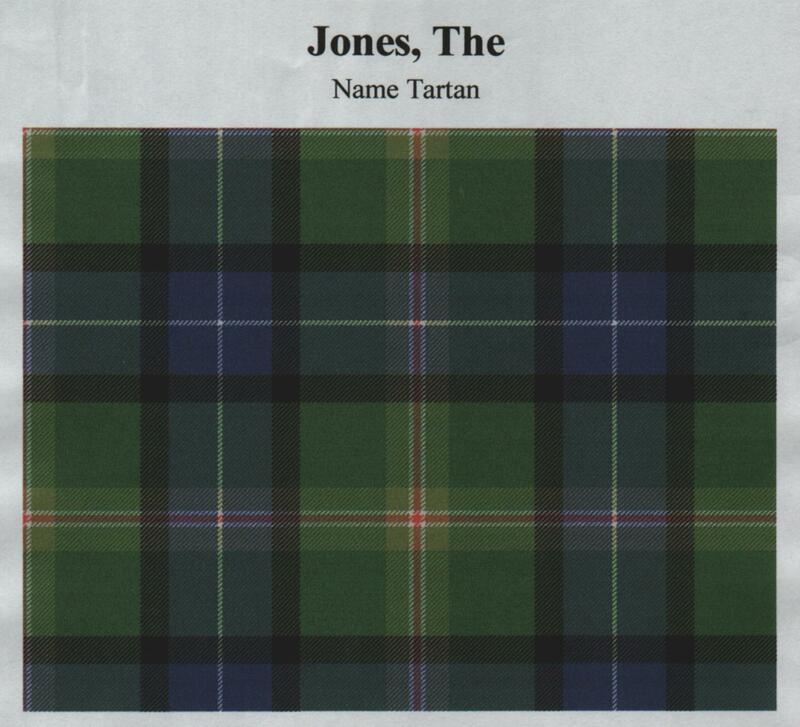 The Jones Tartan was created for people with the surname of Jones world-wide. The design symbolises Jones roots in Wales and the name's global spread. The heart of the sett reflects the green and white of the Welsh flag with its red dragon. From Wales people with the name of Jones moved to England, represented by pale green together with the red cross of St. George on a white background, the flag of England. Many Scots bear the name of Jones and Scotland is represented by the blue and white perimeter which viewed diagonally creates the cross of St. Andrew, the Scottish saltire. The black band represents the deep oceans that separate all the people named Jones who now live far from Britain but whose roots remain there. Produced to raise money for National and International Charities. Further enquiries to: Celtic Originals, Craigmore, Aros, Mull, PA71 6HR, Scotland.